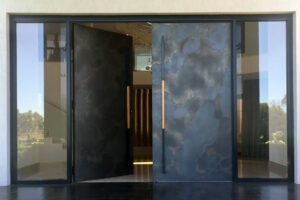 There must be something in the water in Melbourne, with the city home to an inordinate number of clay-abled minds. 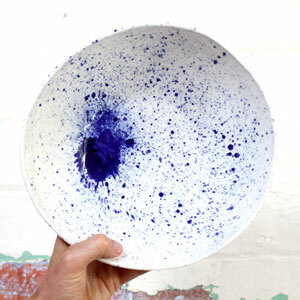 Linsey Rendell rounds up seven Melbourne potters making your summer dining spread all the more special. Why we love it: Sophie Harle’s work can be seen in many cafes around Melbourne. Inspired by the Japanese concept of mingei (the handcrafted art of ordinary people), her functional vessels are designed for everyday use – a quiet simplicity speaking through smooth, caress-worthy surfaces. 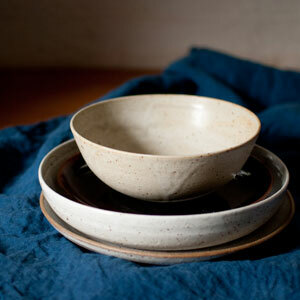 Why we love it: Chela Edmunds makes functional wheel-thrown tableware with a sense of humour. Cups are dappled with colourful hues inspired by nature, while finger-painted patterns add a definitive handmade touch to bowls and vessels. The fried egg brekky plate is on our wish list. 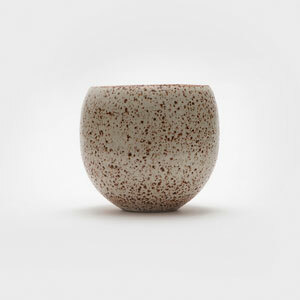 Why we love it: Sarah’s work sees wheel-thrown stoneware clay finished with a shino glaze to produce an earthy speckle. 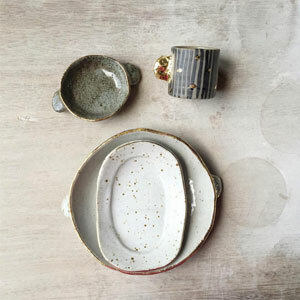 This ceramicist draws from Japanese traditions to make textural beakers, salad bowls, plates and the occasional spoon. 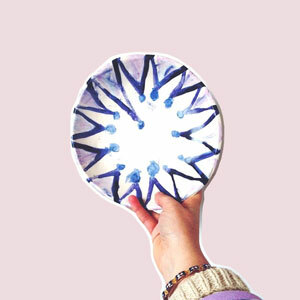 Why we love it: This young potter handbuilds cups and plates in abstract, wonky shapes, which are then playfully painted in all manner of colours and the occasional dash of gold lustre. Possibly the most fun your makeshift chip ‘n’ dip bowl and plate could ever be. 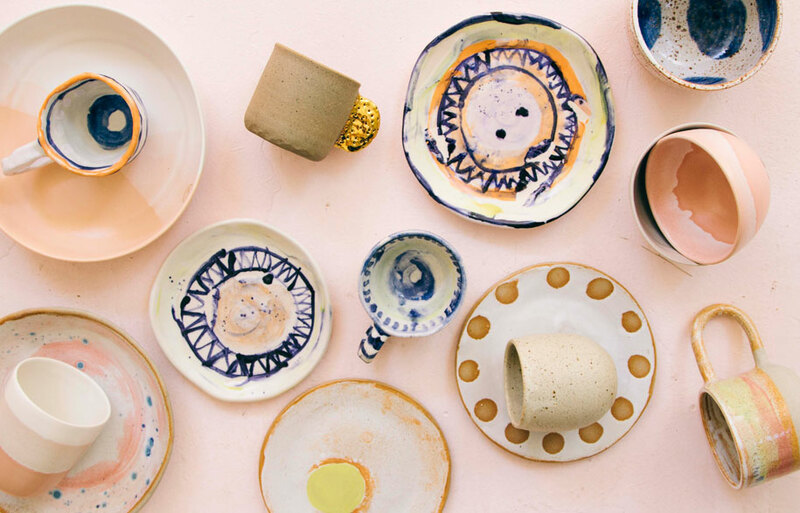 Why we love it: French-born emerging potter Lucile Sciallano creates slip-cast porcelain cups, bowls and platters from her studio in Brunswick. 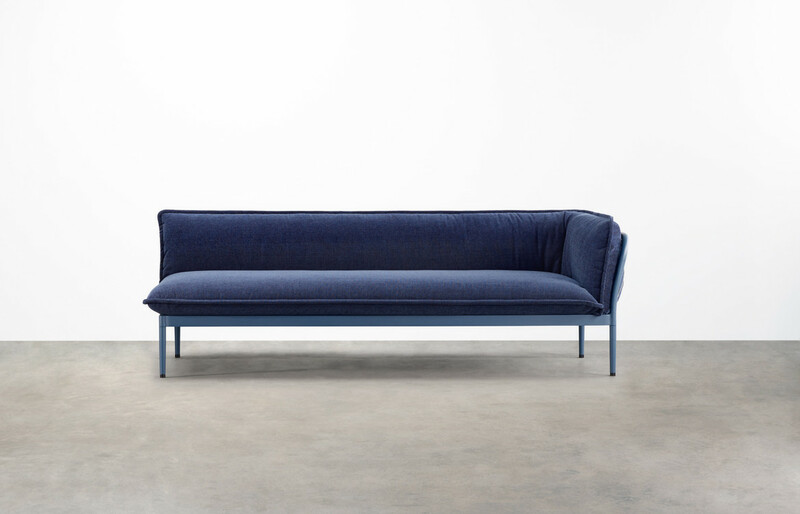 Marbling and milky-way patterns in her signature blue tones splay across fine forms – each stain unique to that particular vessel. 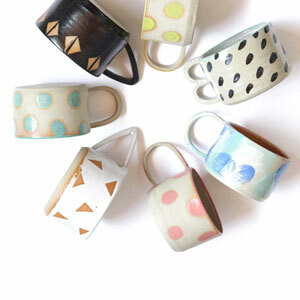 Why we love it: Technically based in Daylesford, not Melbourne, this beloved earth bender shapes stoneware, raku and porcelain clays into delightfully tactile cups, spoons and plates. Motifs sway from gold speckles to handpainted indigo stripes, with the tones and textures of nature present in each collection. 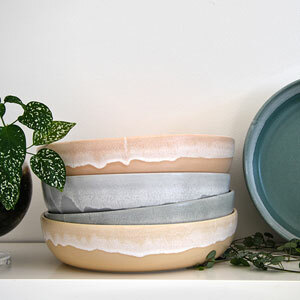 Why we love it: This interior designer turned ceramicist makes beautiful wheel-thrown and mould-cast functional tableware. From sweet side bowls to beakers and large platters, you can complete a single-hued set or mix-and-match your own colourways.